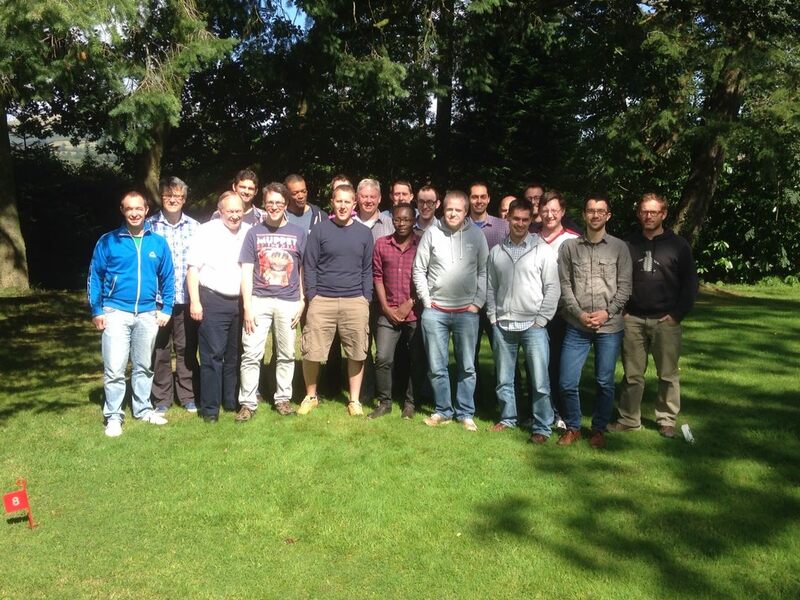 Sadly, I am now in my final year of the EMW Theological Training Course. The good news is, you only have to tolerate one more of these updates! I have returned from a week that was not only spiritually filling, my belt buckle has had to widen a notch as well. The food was the best I have known during the course. Gwydion, Catrin and their team took great care over us all at Bryn-y-groes, with a love only known to Christians, fulfilling their calling. Despite being half a stone heavier and now a “senior” in the group (of 19 men), the week is no less humbling. I have been blessed with another time of most Godly company. The theme of the week was a more practical one. This has helped me greatly now as “Pastor” of Noddfa. This was the session I had been waiting for! The 18th century Revival in Wales! We heard the stories of great men that the Lord used during this time such as Griffith Jones, Daniel Rowland, Howell Harris, William Williams Pantycelen and Thomas Charles. I was enthralled to hear about their work in Wales and how the Lord blessed them during this period. I felt urged to applaud our lecturer of Church History (Adrian Brake) after each session to the Praise of God as he brought it all to life for us. It was interesting to hear how these men (that the Lord raised up) were used, not only to preach the Gospel, but to build infrastructure that would best serve the church and edify the recent converts. It was clear that such decisions allowed the heat of the Revival to burn for longer. Systematic Theology followed nicely with the Doctrine of the Church where we were taught the different types of Church Government and scriptural support for each. Within the Doctrine we also covered Church offices, leadership, discipline, membership, discipleship and the sacraments. Mark Thomas led this module; his notes alone were worth the course fee, let alone his care to answer a flood of questions! Chris Bennett took us through ‘Romans’ in Biblical Studies and rose up more questions than answers. This was of course his intention and why I love his lectures. Chris does not impose his thoughts of interpretation on us but encourages us to exegete what the Word of God says for ourselves. Phil Swann continued last terms Pastoralia theme of Mental illness. Dealing with depression and suicide and then moved us on to Evangelism, clearly showing what the Bible teaches about how we are to seek the lost. As ever the sessions were excellent, interactive and rooted in the love. By reviewing Church History, in the light of Scripture and applying this pastorally to today’s context, the weeks study allowed us to question, how should the church function in our generation? To hear of how the church worked during the 18th century revival, to not only teach an illiterate generation to read, but to spiritually care for them. Converts were catechised, taught the Scriptures, and were provided with regular meetings to share blessings and confess sins. It all made me realise how much more I need to do for those I have been called to serve. Something to pray about! The other practical implication was of church organisation. Before I continue, I am not against independency in anyway. However there is something to be said about greater church cooperation. We have already seen (to some extent) the blessings between Emmanuel and Noddfa, the TTC in itself is an inter-church activity and of course we all come together for the Aberystwyth conference. History and Scripture clearly tell us that when churches work together and share resources for the growth and gain of God’s Kingdom, then the Lord blesses in abundance. This screams out to me the necessity of such groups as the Evangelical Movement of Wales and the Association of Evangelical Churches in Wales as they provide or are a means of shared resourcing. The question is, do we to support the work of such bodies or utilise them enough? Do we attend their conferences and prayer meetings as much as we should? I think not! As ever the week was intense and the study not simply academic, we are seeking heart knowledge as well as head. Each lecture is an emotional roller-coaster. As my head knowledge grows so does the realisation of my own failures, in my walk with God and as an under-shepherd for the flock at Noddfa. Please pray for all the men on the course. Pray that the Lord will bless their time of study and the families/churches that support them. Well it has taken over a year, but by God’s Grace we have finished our study of Hebrews. Below is the “box set” for you to freely download. One of my closest friends (sadly not yet a Christian – but I will keep praying for him) suggested that I watch an episode of the “Last Week Tonight with John Oliver”. In this episode John Oliver exposes the fraud behind TV Evangelism (Televangelists) and the prosperity Gospel that they preach. Prosperity theology (sometimes referred to as the prosperity gospel, the health and wealth gospel, or the gospel of success), is a theory (in the guise of a Christian Doctrine) that financial blessing is the will of God for Christians, and that faith, positive speech, and donations to Christian ministries will increase one’s material wealth. Televangelists claim that if people plant a “seed” (a donation to the Televangelists’ church) God will bless them (through other avenues) with monitory reward or healing. Through this “teaching” Billions of Dollars are being taken from vulnerable, poor and needy people, to pay for private jets, mansion houses and the lavish lifestyles of those claiming to be servants of God! 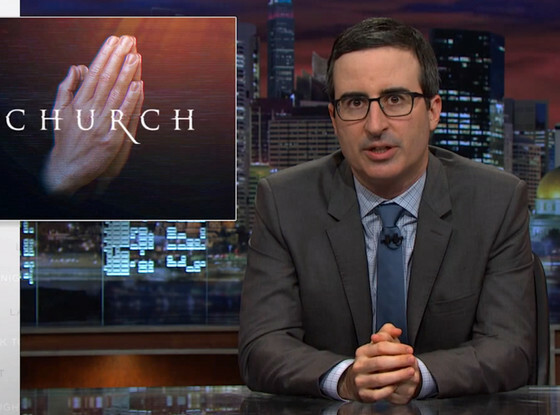 In his report John Oliver sets up his own religious movement “Our Lady of Perpetual Exemption” -to show how easy it is to take money from people in this way. I want to initially start by reiterating (on behalf of John Oliver) that at the beginning of the report, he did stress the good work of the church and the important role it has in society. The networks attack was not on the “Church” but on the IRS and of course the fraudster Televangelists claiming to be ‘prophets’ and ‘healers’. Although I am not naive to Televangelists and their deception, watching this report has made it more real to me. It has broken my heart to see the extent of which weak people are being manipulated and worse still it is being done in the name of our Lord Jesus! It has brought me to my knees in prayer. The “prosperity Gospel” argues that God wants you to be financially rich and it teaches that worldly wealth is a sign of blessing. The “prosperity Gospel” is not the Gospel of Jesus Christ. In fact it contradicts the very teaching of the Bible! As Christians, we know that God’s blessing is not shown in financial gain, but in our contentment in what we have got (good and bad) by the Grace of God. I received forgiveness for my sins freely from God. I did not have to pay anyone for Christ to work in my life! Yes my salvation came at great cost, but Jesus paid the price of that in full by the perfect sacrifice of Himself on the cross at Calvary! The debt for my Sin has been written off by the King of Glory and as His servant I am indebted to Him for this reason, so how can I then hold others to account? The Lord Jesus Christ was born in a stable in a poor rural village, not in a lavish castle in the wealthiest city. He left Heaven to come low, he did not fly in a private jet, but lived a life of poverty and was nailed to a cross for the Love of God. As Christians we must be prepared to follow Him in such suffering, for we do not live for the blessings of this world, but for the promises of the next. Ask yourself, would these Televangelists back what they teach all the way to the cross? Would they suffer Crucifixion as our Lord did? The Bible teaches us that it is by the Grace of God, in Faith of what Christ has done for us , that we are saved. We must never think that by paying money into a church, God will look more favorably on us, “for we all have sinned and fall short of the glory of God.” Romans 3:23. Yes, we are right to give money to the church so she can continue to proclaim Gospel truth, yes we must continue to support those who teach the Bible (correctly and in Love). Feeding the hungry, caring for the sick and helping the poor does cost money. But we must never think when giving that we can buy our salvation! For it is by Grace that we have been saved! Money does not solve the problems of humanity! Despite our relative wealth in the West, we are still lustful, greedy and pride-driven people, we still lie, cheat and murder. This evil is innate in us all, the Bible calls it Sin, and it keeps us away from our perfect God. But in Christ, Sin is forgiven, this truth cannot be bought or sold, it is a gift from God and must simply be accepted by those in need. I have just returned from what was my sixth EMW Aberystwyth Conference. I am pleased to say that I left with a filled head and a heavy heart. Praise God! Those that attend Emmanuel Evangelical Church (Newport) would know from previous reviews (exclusive to their gazette) that I do not attend the conference in its entirety. By God’s Grace I am the head of a young family with four children (all under 8yrs), so it is simply not possible to go to all of the seminars, workshops and prayer meetings throughout the week. Neither would it be fair on my children who spend the rest of the year waiting for me to finish my study or sermon prep before we can play together. 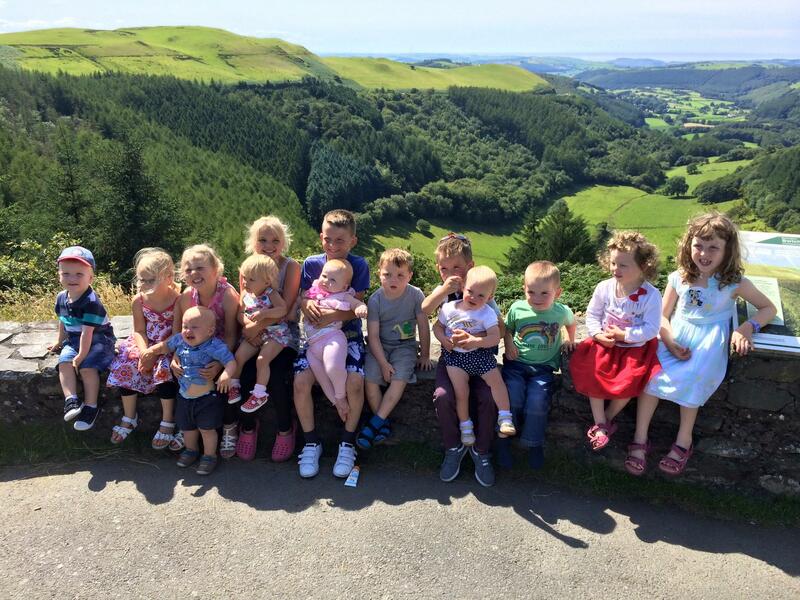 To us (well until the kids grow up) the Aber conference is the perfect complement to a family holiday in West Wales! A holiday that I would certainly recommend. We left home on the Saturday before the conference, and in keeping with tradition we met up with friends at Bwlch Nant for a picnic . Below is our annual picture of all the children (the group continue to grow in size and number). We then arrived early afternoon to our cottage just outside of Clarach (Penybont). A spacious, modern and clean place to call home for the week! Soft beds, big sofa’s, hot pressured showers, a dishwasher, washer/dryer and Sky TV! Very Happy and great value!!! We have booked it for next year already (sorry), but there are some B&B spots available next door. 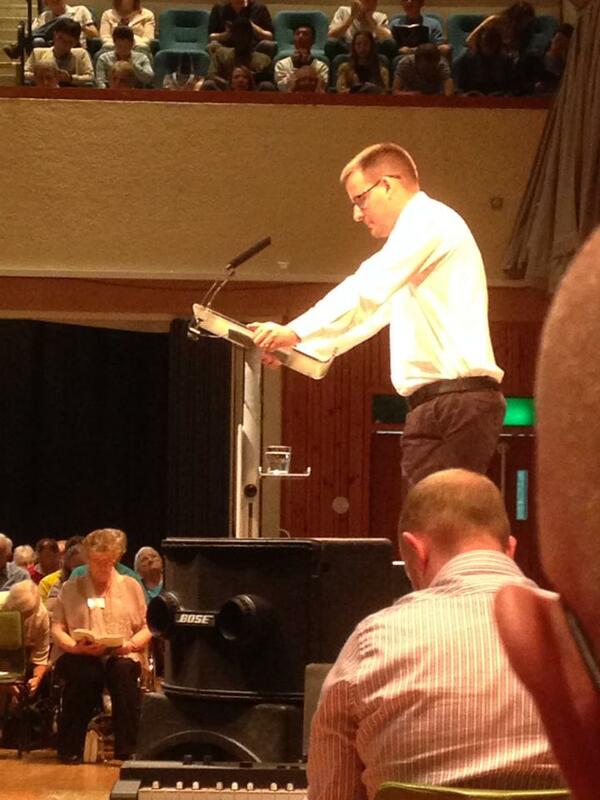 On Sunday, we went to Capel Morfa and heard a powerful word from Dave Gobbet (Lead Minister at Highfields church). “Preach Christ, Die and be forgotten about”. The crèche out the back was filled with children. Very encouraging in these dark times. We enjoyed the rest of the day with dear friends, eating a superb roast dinner on campus at Aberystwyth University. The evening came and we returned back to Capel Morfa to hear Chris Rogers preach a clear Gospel message on the cleansing of Naaman. The fellowship continued as we spent Monday (as we do every Aber Monday – come rain or shine) with friends at Ynyslas. 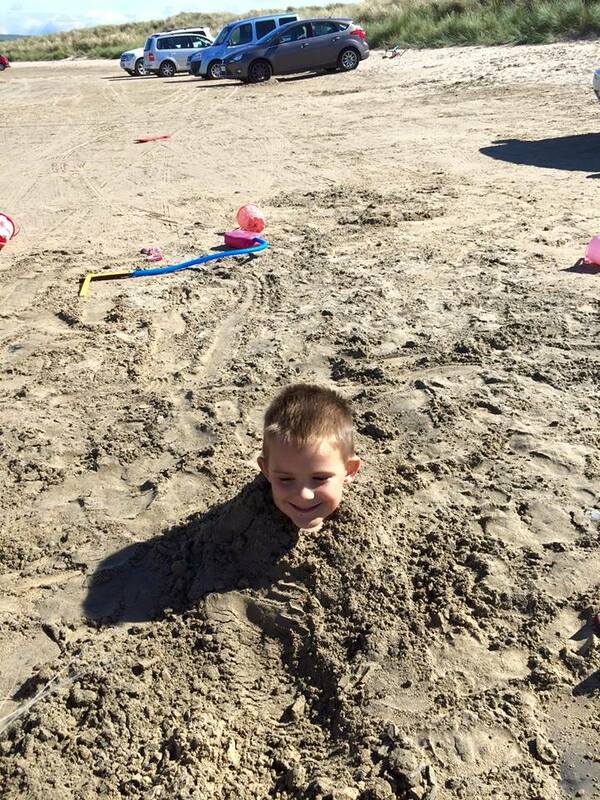 We played cricket, paddled in the sea, climbed the dunes and buried our children. After a brief stop off at the cottage for a shower and tea, I went on to the first evening meeting of the conference. Phil Hill (WEST) gave a most sincere message on ‘Grace’, through the illustration of Christ’s restoration of Peter (John 21). “Our God is watching the horizon, waiting for the disobedient to turn and come back to Him”. Our God is gracious and so should we be to our backslidden family. The following day, after breakfast we returned to the conference. We settled the youngest two in Tiny Tots to burn off some steam, and dropped the older two off at Holiday Heroes where they had a week of fun and learning. My wife and I then went to the ‘great hall’ to sing to the Praise of God with 1500+ brothers and sisters. We then had the pleasure of David Meredith preach the first of a four part series on “the ultimate occupy movement”. We opened Joshua 1 and heard of Joshua’s ambition for God. After the service, the sun still had its hat on, so we returned to Ynyslas to play cricket, paddle in the sea, climb the dunes and burry some more of our children. In the evening we returned to the conference to hear Paul Tripp talk on the “now-ism” of the Gospel of Jesus Christ (Romans 8:18-39). His Grace can be tough, uncomfortable, unstoppable and redeeming! Grace = God for us! He was certainly with us that evening. On the Wednesday morning David Meredith continued his series opening Joshua 9, looking at the deceit of the Gibeonites and Joshua’s discernment. God gave Joshua the wisdom to be gracious because their deceit came from a just fear of the Lord (Proverbs 1:7).The afternoon was spent again with dear friends. My wife however left us for a better offer! She was treated by the EMW to a “Pastor’s wife’s lunch.” This came as a welcomed opportunity for her to meet and share with other great women who support their husbands calling. We returned to the conference to again hear Paul Tripp who took us through the miracle of Jesus walking on water, during a storm, to meet the disciples in their boat (Mark 6:45-52). Jesus injects Himself into the moment of need. Sometimes we need the storm to see His Glory! Are you hardened to His glory? Are you like a child at Christmas who rejects the gift to play with the box? Thursday! The Sun is still shinning (let us not forget we are in Wales). We drop the kids off to their clubs (no walk of shame yet) and we hear what for me was the jewel of the week. David Meredith preached on Joshua 17 (in the context of Numbers 27), the suffering church. The challenge to us was great, the message had both spiritual and practical application. We are not local Christians, we are world Christians and the world is sick! Be gracious! help others, let the suffering find rest and relief in the family of God! The message left me weeping and frustrated for the lost souls who would not hear such a most profound word. The word David shared was from God and one I will never forget! Thursday was another “beach” day, but this time down on the front of Aberystwyth. The boy’s ‘body boarded’ in the sea whilst we looked on. 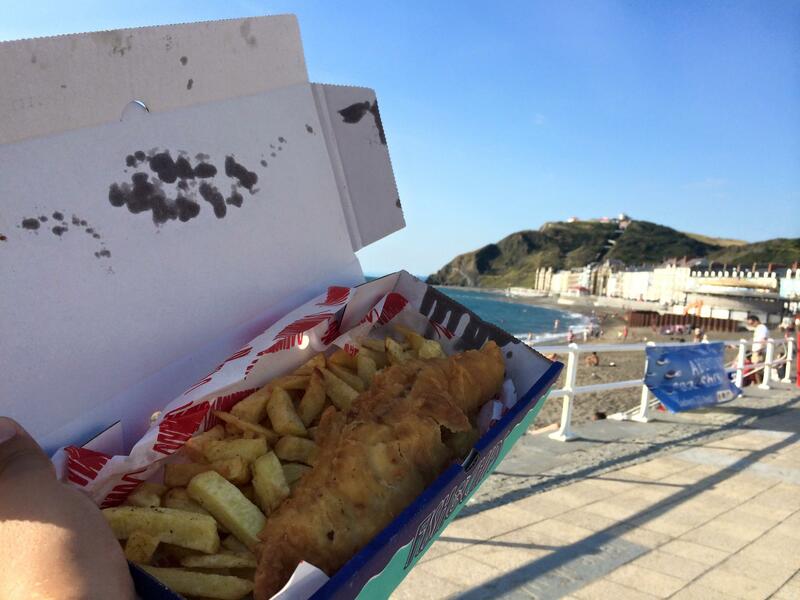 We took in the view, visited the shops and ended with fish and chip supper by the peer. We returned to the conference to hear Paul Tripp’s final message on Psalm 27 (read by a rather suspicious Character below). We where were reminded to stop looking horizontally for what we have been given vertically. We have the power of Christ to get us through the reality of living through this cursed world! Paul finished by setting us homework! Each day we must; “Gaze” upon the beauty of the Lord (Isaiah 40), “Remember” you are a child of God, “Rest” in God and “Act” on your identity as a child of God. Friday morning, the children were sad, they could see that the end of the Holiday Heroes is nigh. They had a wonderful week, met new friends and enjoyed learning more about Jesus. We also enjoyed another week free from “the walk of shame” to Tiny Tots. – My kids earned their ice-cream! A big thanks to all those that looked after them. David Meredith finished with Joshua 18 (in the context of Deuteronomy 12 and Joshua 19). What makes a good day? Reminding us of the importance of church unity. “Unity is not the same as Uniformity”. “The Christ in me witnesses to the Christ in you”. Be gracious, be united, do not let fear triumph over faith! The afternoon and evening was spent avoiding toddler meltdown, it involved another walk across the sea front where the kids enjoyed their ice-cream and then an early night. (Unfortunately missing the final address by Paul Gamston – available online). We departed this morning, the three hour drive was spent pondering the teaching (to the background of a sleeping family refreshed by an active week). The theme of the conference was Grace and the application of it. I am both challenged and grateful to God for what has been an amazing week. I say this every year, but it is true, this conference was the best one yet. If you have a family with children, I could not recommend it enough. Do not be put off by all the sessions, you can come and go as you please, there is lots to do for the entire family and the crèche facilities are brilliant. The Aber conference truly gives us a taste of Heaven, we spend a week surrounded by hundreds of our brothers and sisters in Christ, learning the ways of the Lord, singing His Praise and thanking Him for His Grace. On Sunday, we received a blessing that has not been shared at Noddfa for what I believe to be many a year. We had just as many Children than adults at the service! Who would have thought it? Just a year ago we were gathered as a small remnant of grey? What a blessing! However, having so many children obviously caused some disruptions, at times amidst the pew banging, the screaming and the loud whispers of “be quiet” from the parents; I could barely hear myself think! As I paused between sentences to gather my thoughts, I was saying to myself the words of our Lord as written in the KJV, “Suffer little Children and forbid them not, to come unto me: for of such is the kingdom of heaven.” (Matthew 19:14). In other words, “put up and get on with it John”. Why? Well because the Lord values children! Notice the children had to be brought to Him, so, you can assume that they were similar ages to whom we had on Sunday. Young children who could not physically make their own way, or did not yet have the ability to follow their parents instructions come. Yet, despite their utter weakness and dependency our Lord welcomed them. How amazing is our God that He, the King of Kings and Lord of Lords, the all powerful and all knowing creator, desires to give His time to the most helpless of us. The Lord cares for Children so we must! 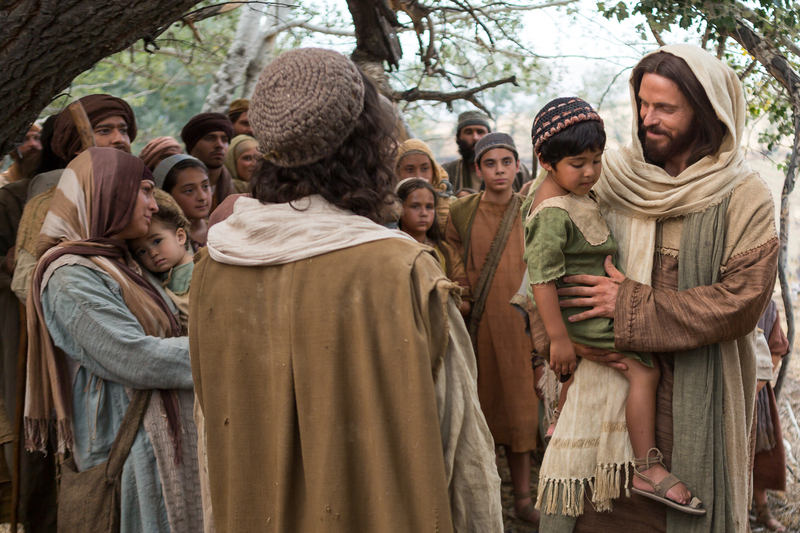 Jesus looked upon those children as He once looked upon us. He saw them not only as what they are now but what they will become. We must Praise God for this truth, for before we knew Him, we shared all the attributes of a young child, we were weak, naive, uneducated and rebellious. Yet He still, so lovingly, told us to come. Earlier this year (in faith) we started a Sunday School (11am) and the Lord has blessed that step forward as a church. The children attendance is an answer to prayer, we must not hinder them! A child’s mind is like a sponge and we do not know how the Holy Spirit is working in them even at this most early stage. They may not bear fruit for decades (if at all), but we must be encouraged that the Lord is sending in His next generation! Yes, they may bang the pews and scream the place down! Yes, they maybe too young to sit through a sermon. But they are not too young to pray for! And that is what I am encouraging all who read this to do. Pray that the Lord will continue to bring children (and their parents in) and that they will be saved. I have received the below image from several learned friends over recent months and it has been met with the same reply. I thought I would post said reply on my blog so I can just send this link on to those who desire to send it to me again. Feel free to do the same. Y’hochanan = John (Hebrew origin). Mattithyahu = Matthew (Hebrew origin). Ya’aqov = James (Hebrew origin meaning Jacob). Bar-Tôlmay = Bartholomew (Aramaic, which is related to Hebrew). Judah = Jude (not to be confused with Judas Iscariot, Hebrew origin). Yehuda = Judas Iscariot (Hebrew origin, Betrayed Yeshua/Yehosua the Messiah). Cephas / Kephas = Peter (Hebrew / Aramaic origin meaning “Rock”). Tau’ma = Thomas (Aramaic origin). Andrew = Andrew (Greek origin. Is the brother of Cephas / Kephas). 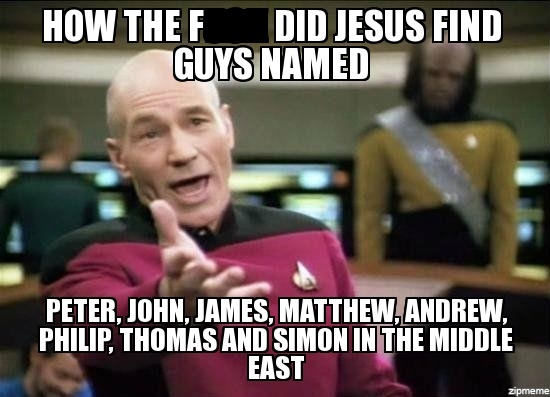 Phillip = Phillip (Greek origin). What strikes me the most about this entire process is the arrogance of those who think that such a meme could undermine thousands of years of church history, critical analysis of scripture, argument and scholarship. Did they expect Christians to see this and say “you know what, I never thought about this, you are right, there is no God and we have no hope, we are just a randomly evolved collection of proteins existing on a rock, floating in an endless vacuum for no reason or purpose”? I thank God that despite our changing culture the Gospel is still preached today 2,000 years on and that He is still working, still saving souls and He will continue to do so until His return. With that said, I advise all (Christian or not) to read the scriptures and test them for yourself.